The same logic behind why on flights, we are instructed to put the oxygen masks on ourselves first BEFORE our children. 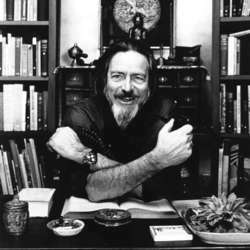 So far I have been able to support so many people and Non-profits through the Wisdoms of Alan Watts. So I would like to share this source of EMPOWERMENT with you as a new year gift!